Leonardo DiCaprio has joined forces with Swiss watch manufacturer Jaeger-LeCoultre to confront global environmental issues and promote eco-friendly causes by creating the “Time to Care” program to benefit the Leonardo DiCaprio Fund at the California Community Foundation. 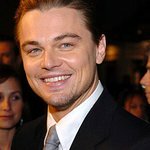 The company will release two new and unique timepieces this Fall that feature DiCaprio’s signature and endorsement, with 100% of the proceeds going to some of the environmental organizations supported by the California Community Foundation around the world – including the Natural Resources Defense Council and Global Green. The first of the watches will be a one-of-a-kind Master Compressor Extreme Lab, as worn by DiCaprio to the premiere of his documentary, The 11th Hour. Valued at approximately $300,000, the watch will be engraved with Leonardo DiCaprio’s signature, and be crafted in carbon fiber and titanium. It will feature an automatic tourbillon, two time zones, a pointer-type AM/PM indication at 12 o’clock and a patented jumping date display. This revolutionary concept watch features the first mechanical movement to operate without any lubricant and it is resistant to extreme temperatures of -40 degrees to +60 degrees Celsius – which is just what you need for global warming. The second watch for sale will be a one-of-a-kind edition of the Reverso Gyrotourbillon 2 which, apart from having one of the coolest names ever, contains the first-ever spherical tourbillon – a great little gizmo invented in 1795 to counter the effects of gravity on timepieces… a very important thing if you ever find yourself in space or late for work. It also contains a 50-hour power reserve and will be worth around $400,000. As well as being an eco-warrior, DiCaprio is also well known for his passion for Jaeger-LeCoultre watches. At the premiere of 2007’s “Blood Diamond” he wore a platinum Master Minute Repeater, and is known to own several more of their pieces. The watches will be available through stockists of Jaeger-LeCoultre timepieces.